Discussion in 'DS Exchange' started by amagad, Apr 26, 2017. Bought a bulk order of raw materials to make my own wood conditioner. 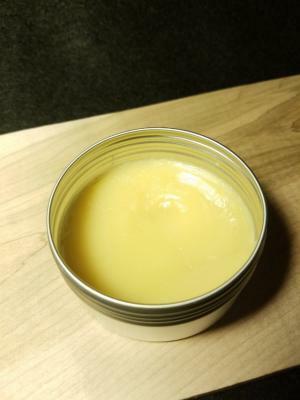 I bring to you "Dama Butter" wood conditioner. This is not competition to Kenditioner, I only wanted to make myself some wood wax of my own and only want to sell the excess made, I only made enough for 8 jars, there's like 50 grams in each aluminum container, it's honestly too much unless you have a massive collection you want to condition. Personally, I'll be using it on kitchen utensils, chopping blocks too! slothymane, Allen Ku, rTTn and 4 others like this. If you'd make more of these, i'd grab some when i finally get to MN for MKO next year! Also, is there a way for it to not give off a yellowish sheen? Great question! It doesn't really give a yellowish sheen, it merely darkens the color of the wood. My photos may show a yellow hue to them mainly because I did not correct the color temperature. 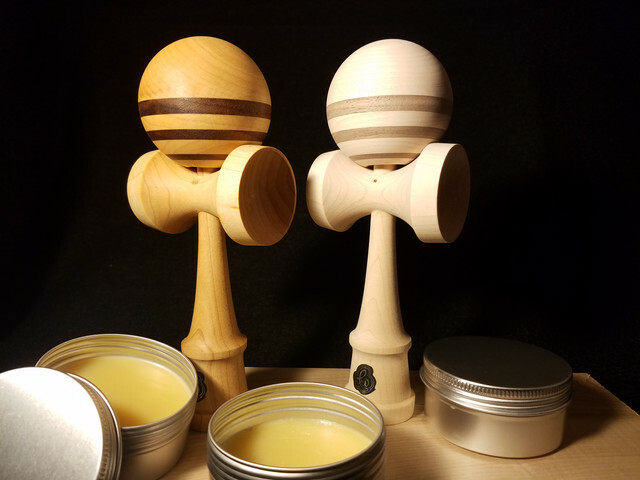 Here is a color-corrected photo of the dama butter just to give you an idea, hope it helps! okay... that MOJITO just looks sooo sick buttered up, I like how laminate kens really come to life. They typically come very dull, you see the colors just not as vivid without some form of conditioner/wax. I'll condition a Fruit Punch tomorrow morning, super excited to see how that will come out! ...how much for this, shipped to Kuala Lumpur, Malaysia? Hahaha! Just when i thought i found an affordable wood conditioner! Is there anyway you can leak the secrets into making my own? I almost bought that NextGenHG from you. First wave of orders shipped! Does this leave any residue on the Dama at all?? Sup! Once you apply a coat, buff it with a clean rag or paper towel. Let it sit over night to allow the oil/wax to permeate into the wood. You'll find your dama with a luster and very minimal to no residual oil feel. 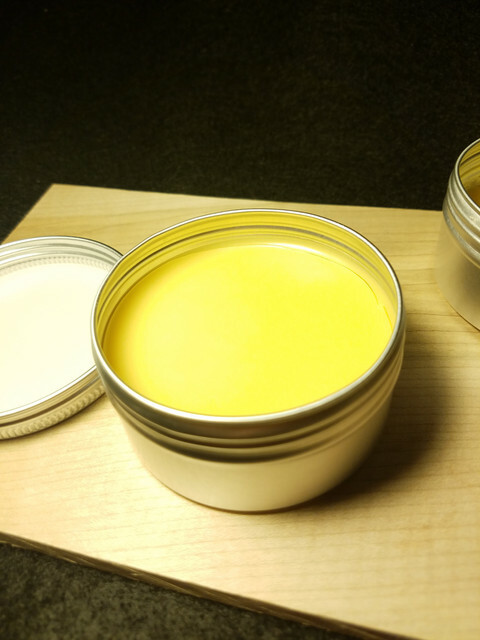 After continued use, the residual top coat would have wedged itself into the wood and from continued play, what is left from that residual oil will slowly wear off. Hell yeah! I'm gonna need some then cause this stuff makes Damas look so fresh! always test in an inconspicuous area before application to determine suitability. I personally used it on a test dama I don't care about, saw the results and buttered up all my damas hope this helps. How much you selling for??? Ahhh I'm stupid it says $10 in the title. Anyways you think you could Hold onto one for me until Sunday?? grahamdama, noah, James Sevilla and 1 other person like this.